This high-tech toothbrush has an amazing function. 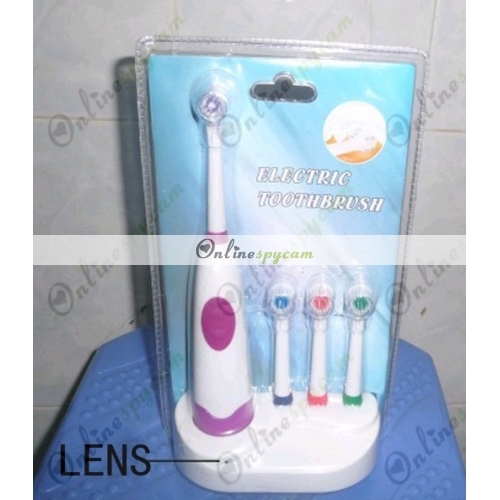 It can be used as an electric toothbrush, but it is also a camera recorder. It can record the video as well as the voice wherever and whenever you like. 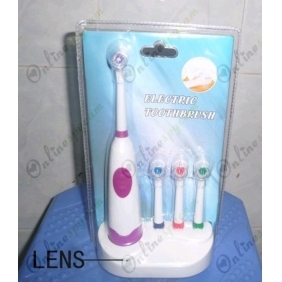 The tiny digital bathroom spy camera built inside the toothbrush, so it looks like an ordinary toothbrush and the camera can not be found easily. The user can record the funny things secretly and play back on the PC later. You don't need to worry about the memory card. It does not need any external plug-in card, as it has an 8GB card itself, and can work about 4-5 hours or above. If you want to record the evidence of illegal behaviour or some precious videos, this Spy Toothbrush Camera (8GB) is your best choise. Suitable for CIA agents, police, detector, spy agency or anyone who is interested in camera recording.